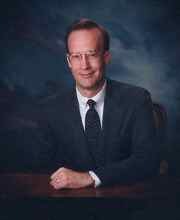 The Retirement Professor, Lawrence Boyles, has reached national and international audiences through publications such as The Wall Street Journal, Money Magazine, Financial Planning, The Investor's Journal, The Houston Chronicle and his appearances on television and radio talk shows. He purchased his first stock while still in junior high school. The investment proved profitable, and the investment bug bit him. Since then, he has honed his skills as an accomplished investor. Today as President and Senior Portfolio Manager, he personally manages all client investment portfolios and works with clients one on one in his area of specialty, retirement planning. He stays wired to the latest developments in investing through membership in the Houston Investors Association. 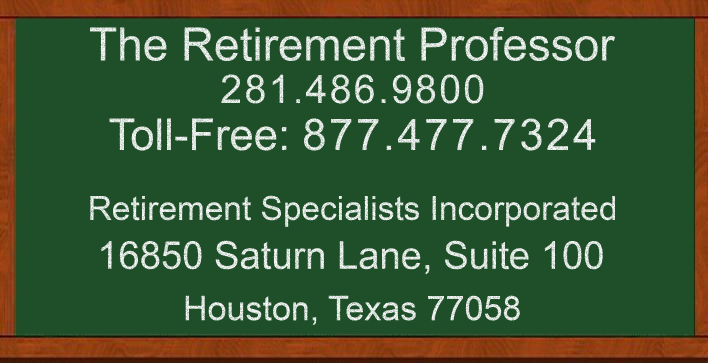 Retirement Specialists Incorporated is a fee‑only, investment advisory firm located in Houston, Texas. The firm specializes in Planning for Retirement, helping you understand your 401(k), pension, thrift savings plan, 403(b), 457, and IRAs; obtaining early retirement using your 401(k), IRAs, Net Unrealized Appreciation (NUA) of company stock, 403(b), 457, or Federal Thrift Savings Plan; getting your maximum pension; 401(k) Rollovers, and receiving early payout through 72t's. The firm also specializes in managing retirement portfolios. Through putting clients’ interests first, excellent service, objective advice, and an outstanding reputation for trustworthiness, the team has built a client base that has expanded through referrals from satisfied clients.